The vehicles are in different parts of the city - or maybe even just at different parking spots on the same street. You have the "source" controller in your hand - but you aren't even in the same vicinity of the vehicles, so you cannot see what they are doing firsthand. You try to control them so that they arrive at some point altogether, without accidents or damage. Remember - you're giving the SAME signals to EACH vehicle AT THE SAME TIME. How likely is it that they're all going to arrive in pristine condition? That's why "one drive, one motor". So, you cannot operate motors in parallel on a single VFD in vector control. This control method requires an encoder feedback and the encoder can only be on 1 shaft. If you do this the second motor will be given a set voltage and frequency and if that does not match the rotational speed excessive current will be drawn. Basically, you will not have the speed regulation granted by using closed loop control so. 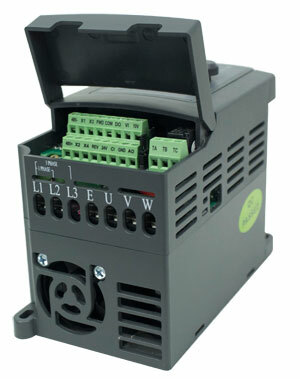 Since open loop control does not require encoder feedback you can operate multiple motors on a single VFD. The VFD should be run in a simple Volt per Hertz mode where it outputs a voltage at a given frequency and allows the motors to operate at whatever current they want up to the VFD rated current. When doing this you will need to put a TOL or other motor protection device on each motor. The VFD being rated for the HP of all of the motors will not know if an individual motor is seeing an over current. What matters is that the total impedance of all of the motors matches what the impedance of the inverter wants. If you now put the motor A on vector control the system will not work as the current supplied is only for motor A which is too low. This problem can be overcome by altering the control parameters to be correct for a motor twice the size. The system will still only operate if both motors have similar loads that change slowly. If the motors have either very different loads or very dynamic loads vector control will not work. If the motor B is much smaller than A then very few problems.